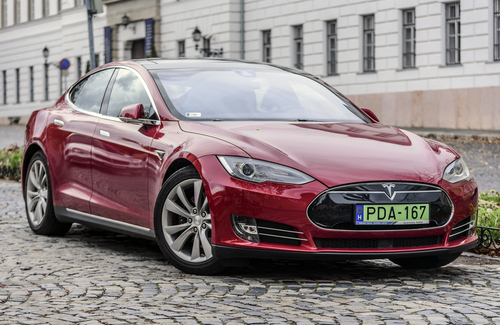 Has Elon Musk and his efficient line of Teslas started a vehicle revolution? On November 16, 2017, Tesla, Inc. CEO Elon Musk made a surprise announcement at the Tesla Semi event. The new Roadster high-end electric sports car, billed to be the most powerful ever, is scheduled to hit the streets in 2020. According to Musk, the vehicle will go from 0-60 mph in 1.9 seconds and will boast an amazing 620-mile range at a top speed of 250 mph. Coming in at a price tag of $200,000 ($250,000 for the limited edition “Founder’s Series”), these wheels won’t be for the faint of wallet. But what does this mean for the diesel industry in the luxury slice of the market and the future of diesel technology overall? Ever the showman, Elon Musk claims the Roadster will be “the fastest production car ever made.” Designed by former Mazda guru Franz Von Holzhausen, the vehicle carries three electric motors, allows excellent torque vectoring, and will accommodate four passengers. Add four-wheel drive and a removable glass roof, and you’ve got a car that caters to status-conscious customers. 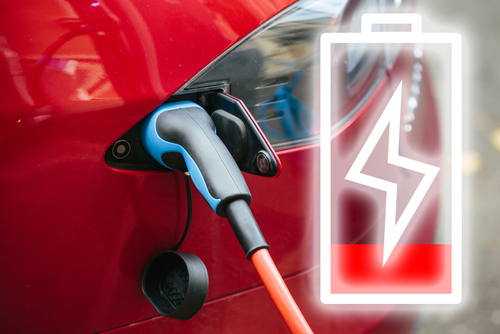 Musk claims that, in the future, “… driving a gasoline sports car is going to feel like a steam engine with a side of quiche.” There are some doubts that current battery technology could produce so much power, but that hasn’t dented the waiting list. In fact, some test models have already been spotted in California, drumming up excitement further. Most legacy manufacturers already produce high-performing diesel sports cars that have a substantial market share in Europe. The current fastest on the block is the Porshe Panamera 4S at a price point of $85,000. Like its diesel brethren in all categories, it offers better fuel efficiency and less environmental impact than gas models. The BMW 435d goes from 0-62 mph in 4.7 seconds, has an eight-speed automatic gearbox, and comes with the convertible and Gran Coupe models. Price is in the mid-$40,000 range. Coming in third is the Audi A8 4.2 TDI. It gives some ground in gas mileage to the BMW (39 mpg versus 50 mpg), as well as being twice as expensive. These top-end models, along with diesel models in other price categories, currently claim approximately 40% of the new car market in Europe. By contrast, diesel only accounted for 3% of the new car market in the U.S. as of 2014. Why Is the U.S. Market Different? Ever since the late 1990s, European governments have crafted regulations and tax incentives to guide their automotive market more toward diesel products. This did not happen in the United States, where both diesel fuel and diesel engines were marginally more expensive. The industry also had to contend with diesel’s unfair image as smelly, rough, and unreliable. This reputation stemmed partly from GM’s LF9 and LF7 engines. Another impediment has been regulation. Strict particulate and NOx regulations have also made manufacturers hesitate to try to expand. Mercedes, for instance, is scaling back its diesel plans in the U.S. because of expensive environmental approvals. Electric cars, even of the crude, homemade variety, have been around since the 1800s. By the beginning of the twentieth century, they competed with the noisier, higher-maintenance gas engine models. By 1912, the Model T was taking over the marketplace, and electric cars suffered from being twice as expensive. High gas prices in the 1960s and 1970s revived interest in the platform. Unfortunately, models of that era had limited power and range. The 1990 passage of the Clean Air Act jump-started the dormant industry. GM’s EV1 was designed from the ground up, but sputtered due to high production costs. It was discontinued in 2001. Released in 1997, the Toyota Prius was the first mass-produced hybrid vehicle. Celebrity interest helped spur sales worldwide. In 2006, the Energy Department gave a loan to Tesla, then a small Silicon Valley company, to produce a luxury electric sports car. Tesla is now California’s largest car industry employer and has inspired major manufacturers to dive into the market segment. For years, diesel vehicles have been popular in Europe because they have a higher energy output than gasoline, as well as better performance. Although diesel engines cost more upfront than traditional engines, they tend to last longer (some up to twice as long). Currently, Tesla’s car battery can run for 334 miles. It is estimated it will reach 400 miles within the next decade. Electric vehicles carry a higher price tag than diesel, but electricity costs are significantly cheaper. As technology advances, efficiencies will undoubtedly improve. One drawback of the electric battery models is their lithium batteries. They tend to degrade after only a few years. This problem has led manufacturers to offer compensatory incentives to buyers to boost sales. In the current marketplace, diesel vehicles’ resale values are starting to suffer the pinch of new European regulations. Older diesel cars are facing bans from city centers as well as higher parking charges in places like London. Cities like Paris, Mexico City, and Madrid have vowed to get the vehicles off the road completely by 2025. This has led to as much as 15% price drops for new diesel cars. Researchers who study how long it takes societies to make huge technological shifts point to the horse and buggy trade as an example. Looking back, they have been surprised at how quickly the car was adopted widely, especially after the introduction of the Model T.
Fearing they might go the way of Kodak—which went out of business in 2012 after failing to adapt to the shift away from traditional film—car makers are jumping on the electric bandwagon. Norway is the first European country to announce a ban on all combustion engines by 2025. China and the rest of Europe are poised to follow. Autonomous (self-driving) technology is advancing side by side with improvements in electric batteries. Some experts believe that, in the future, most cars will be part of commercial fleets. Households may no longer think it’s economical to maintain traditional vehicles that can cost up to $10,000 per year to operate. While one car, the Tesla Roadster, can’t single-handedly shift an industry, affordability and economies of scale can reach a tipping point that accelerates the abandonment of one technology for another. The International Monetary Fund and Georgetown University estimate that, by 2040, more than 90% of all passenger vehicles could be electric. Steven is the content manager at For Diesels. When he’s not writing about engines, you can find him tinkering around in his garage.